When I massively consume information and entertainment, I find myself full of opinions. In contrast, when I have nothing to say I can trace back the reason: creative exhaustion. The last few months I've been managing several film productions professionally and creatively. All I have to "say" about anything has gone into cooking up some really great films. I'm excited to return to blogging, but for now I'm in producing and directing mode. 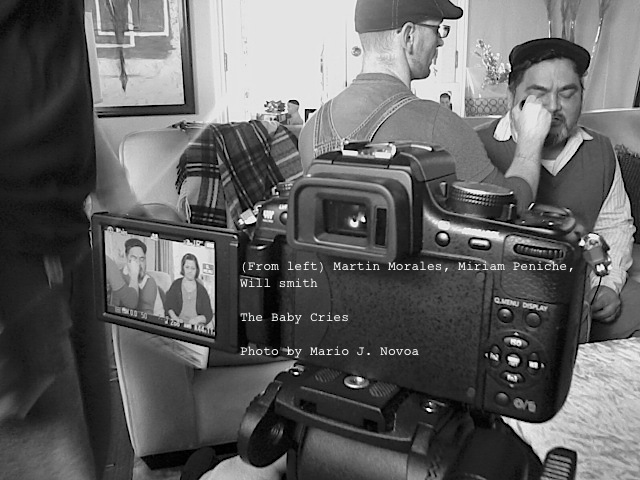 The Baby Cries (Film Festival Cut) from Mario Jose Novoa on Vimeo. Steven Spielberg, Tye Sherdian, Olivia Cooke, Lena Waithe, Hannah John-Kamen, Ben Mendelsohn, Ernest Cline, Win Morisaki, Philip Zhao and more to geek out about READY PLAYER ONE.